SIDNEY — The Sidney Department of Fire & Emergency Services announced the promotion of Firefighter Ryan Heitman to lieutenant Friday. Heitman will be officially sworn-in by Mayor Mike Barhorst at 3:30 p.m. on April 8, 2019, at Sidney Fire Station No. 1., 222 W. Poplar St. The Civil Service Commission certified Sidney firefighters’s scores and ranking Thursday afternoon for the Sidney Fire lieutenant position. Between his total written test score and assessment center score, Heitman ranked the highest among his six other colleges vying for the position. Also taking the lieutenant’s test were firefighters Greg Francis, Wes Goubeaux, Brian Lundy, Anthony Marchal, Bryan Ramge and Keith Wiley. Sidney Human Resources Manager Vickie Allen said results of the firefighters’s rankings are valid for the next two years, if another higher ranking position becomes open within that time frame. According to Sidney Fire Chief Brad Jones’s press release, Heitman came to Sidney after being previously employed as a firefighter/paramedic with Dayton Fire Department and Franklin Fire Department. He is a 2001 graduate of Houston High School and started with Sidney as a firefighter/paramedic in 2006. 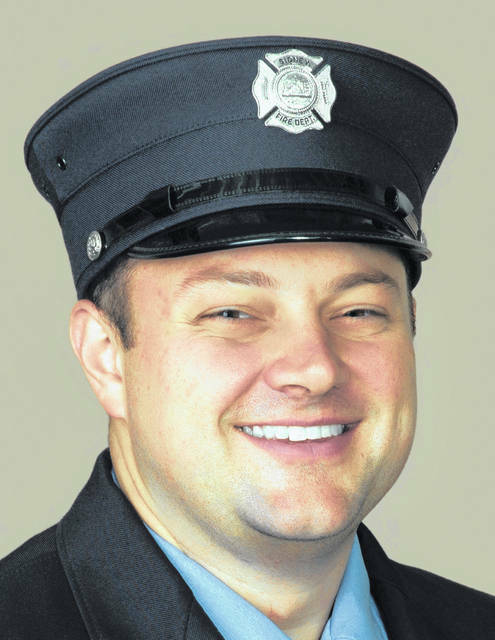 Heitman has an associate degree in applied science from Sinclair Community College and was awarded the Sidney Firefighter of the Year in 2012. During his 13 years at Sidney Fire, Heitman has received numerous accolades from his peers and supervisors for his outstanding performance in the field, the release said. Heitman currently resides in Houston with his wife, Holly, and their three children.